Google has come out with yet another “tool” (or is it s toy?). This time it is a quick little gadget in You Tube that lets you create 30 second videos called Search Stories. The idea is to tell a story, about anything you want, through Google searches. its a great way to just have fun or to potentially do a little promotion of your photography or any business really. Here is one I created. Each topic is concise and full of great advice that will help you to improve you photography of animals and nature. You can download all 21 Photo Masterclasses in PDF format. Adobe products are probably some of the most widely used image editing software by both amateur and professional photographers. I recently upgraded from CS2 to CS4 and the vast improvements from one to the other were impressive. But software technology advances quickly and that only means there are much better things to come. 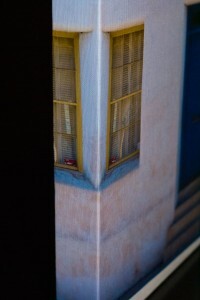 Adobe recently gave a sneak peak of a feature that will be in the next version, PhotoShop CS5. Content Aware Fill is a remarkable bit of technology. In its simplest terms, it takes the spot healing brush and the clone stamp tools to a whole new level. The Content Aware Fill tool uses data from the area surrounding your selection (content) to smart fill in and match the selected area resulting in near perfect corrections in your photograph. Based on the demo video released from Adobe it does an amazing job of it. Will this feature alone force me to upgrade again so soon? Adobe PhotoShop CS5 is slated to be released in just a few weeks on April 12, 2010. Thanks to Matt at Awesome Toy Blog for passing on the news about PhotoShop. Search Engine Optimization (SEO) is the process of enhancing your web site with the goal of driving more traffic to it. This is usually associated with moving your site closer to the top of the first page of search engine results so that more people find it and visit it. Most SEO tips and tricks revolve around optimizing written content for keywords. For most photo based blogs that presents a bit of a challenge given the minimal written content and focus on the visual. But there are still several things that you can do to help your photo blog SEO efforts and bring your site closer to the top of the search engine results for keywords that are relevant to your site. Before you start to implement any of these Search Engine Optimization tips you will want to have an idea of the keywords that are most important to your site and that you want people to use to find you. Take some time to figure out what a searcher might be typing into Google or Bing that would be relevant to your site. Keep in mind that the broader the term the more competition and less likely you are to show up on page one. For example, photography is a very broad term that could lead to millions of sites. 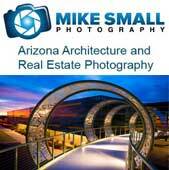 But Phoenix Arizona architecture photography is much more specific and therefore more likely to work for a site that is focused on this particular type of photography in this region. Here are five SEO tips for photo blogs that are easy to implement with each post. Page Title Tags – The title tag is the wording that appears at the top of the search engine page. It is an important determinant to the search engines as to the content of the site. Make sure it is descriptive and has one of those keywords you are going after. But don’t ramble, keep it to about a dozen words give or take a few. Alt Image Tags – One thing a search engine spider cannot do when crawling a site to determine its content is decipher images. This can be a problem to a photography blog that is heavy on the images. But there is a way around this, alt image tags. This is search engine readable text that describes the photograph in words. If you are html savvy it can be added as part of the html code or most blogging programs have a way to add alt image tags when uploading images to a post. The same rules apply to alt image tags as page title tags, make it descriptive and use one of your keywords. Written Content – Your blog is all about your photography and you don’t want to clutter it up with words. But written content, to some degree, can be vital to improving your ranking in the search engines. It is this written content that allow the search engines to crawl your site and figure out what you are about and if you are relevant enough to show for a given search query. That doesn’t mean you need page after page of babbling text. But some good, concise, keyword optimized (not keyword stuffed) content describing the images can be very helpful. Do not shy away from the written word. Emphasize It – Don’t go crazy with this one, but formatting that makes something stand out to a human eye also makes it stand out to the search engine crawlers. Bold text and italicized text say “pay attention – this part is important.” Used correctly it can guide the search engine to the details of a page that are of particular importance to its overall theme. Inbound Links – The content on your site is important but so is who else thinks your site is important. The search engines determine this by looking at who is linking back to you. High quality sites that link to your site can be gold. You have to do some leg work and more than just comment on other blogs with a link to your site. Get your web site out there. Do guest posts, use Twitter, Facebook and other social media, discuss on forums, befriend other bloggers. Get people talking about and linking to your site. Bonus – Meta Descriptions – Although most search engines no longer use meta descriptions as a factor in determining the relevance and rank of a website they can still be a useful tool. They are often used as the site description on the search engine results page (SERP) which means you can control those few lines of text that searchers see as the description of what your site is about when your page comes up in the search engines. If you tie in some of those keywords that you are trying to rank for and it is one of the words the searcher used they get bolded. That means you site could stand out a bit more as being the one that is relevant to what your searcher is looking for. I have taken 1000s of photographs over the last few years but I have had very few of them printed. Most are displayed digitally on this blog or Flickr or Facebook or stored on my external hard drives. For the most part I just never think to have my photographs printed. I suppose if I had done a lot of film photography before getting into digital photography I would place more significance on the printed image. However, I was recently awed by a print of one of my images enough that I may have to rethink my whole view of having my photographs printed. It started with being followed by and and following @photocanvas on Twitter, aka ZaZa Gallery. They were offering free 16 x 20 canvas prints in exchange for a review of the finished product. Free is a price I can get into and was happy to oblige. The hardest part of the process was deciding which image to have printed. Not having had any canvas prints done before I was not sure how it would turn out or what image would look good in this format. 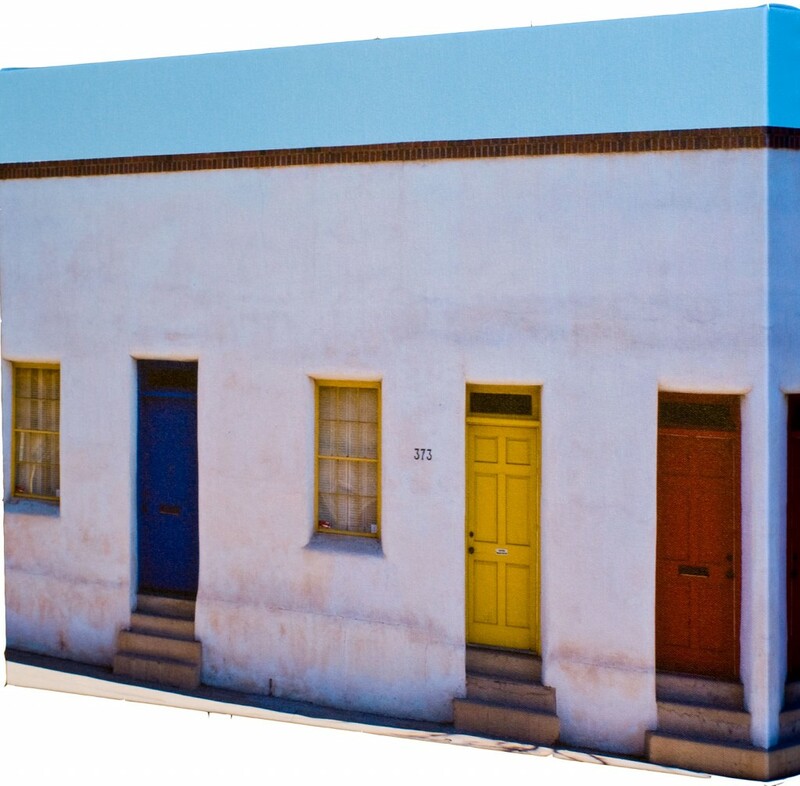 I decided on one of my favorite images (on the right) of the Barrio Historico in Tucson, AZ. 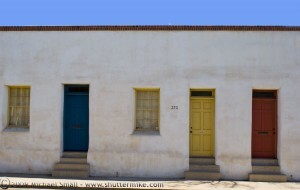 I love the pops of color on the three doors and the clear blue sky above the adobe building. So I sent the image off with no idea what to expect in return. The result was amazing. I got a 16 x 20 canvas print with a mirror wrap (that means the image is “mirrored” or repeated as the canvas wraps around the edges of the frame) and was blown away. The colors were true to, if not better than, my original. Every detail of the image is crystal clear and vibrant. 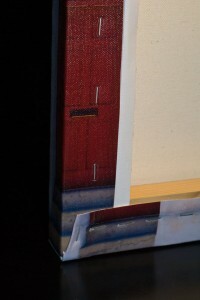 The construction is very solid using archival canvas. All I can say is “wow.” This particular print runs $68. I have never price shopped canvas prints so I have no idea of this is high, low or right in the middle. But for the quality of the final product i got it is well worth it. Beyond Megapixels had a very timely post for me recently on Curing Photographer’s Block. There are times when I head out with camera in hand and nothing inspires me. I may try to shoot something hoping for the best but come back with an empty memory card or images that are uninspiring. Tiffany at Beyond Megapixels offers 5 great tips for getting beyond the block and back to shooting. If you don’t have her blog on your reader be sure to add it. It is well written and offers some great tips and information on photography. I came across the Faded & Blurred site via a Tweet – gotta love Twitter. It is sort of Facebook, Flickr, forum, blog, tutorial, social media, Twitter for photographers all rolled into one. I just joined but so far the layout is great and it looks like it has the potential to be a fantastic resource for photographers as well as an exciting new online photography community. Building a community of fellow photographers around you is one of the best ways to improve your skills. So resources like Faded & Blurred are well worth joining and participating in.